C.J. Anderson’s short tenure with the Raiders was long enough for coach Jon Gruden to leave a lasting impression. ATLANTA — C.J. Anderson came and went last December, his time with the Raiders the most abbreviated tenure of his NFL career. He signed on a Tuesday and was waived a week later. The locker he occupied, near those assigned to center Rodney Hudson and defensive tackle Clinton McDonald, was cleaned out as abruptly as assembled. The short-lived arrangement lasted long enough, Anderson said, to form an opinion about one aspect of the Raiders’ inner workings. 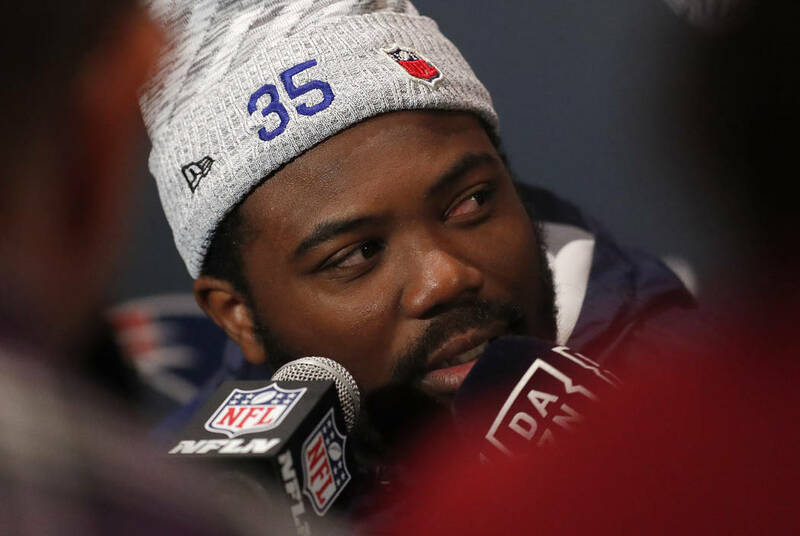 The Los Angeles Rams running back is an unlikely participant at this Super Bowl. The Raiders were the third of four teams to carry him on their roster during the 2018 league year, following the Denver Broncos and Carolina Panthers. 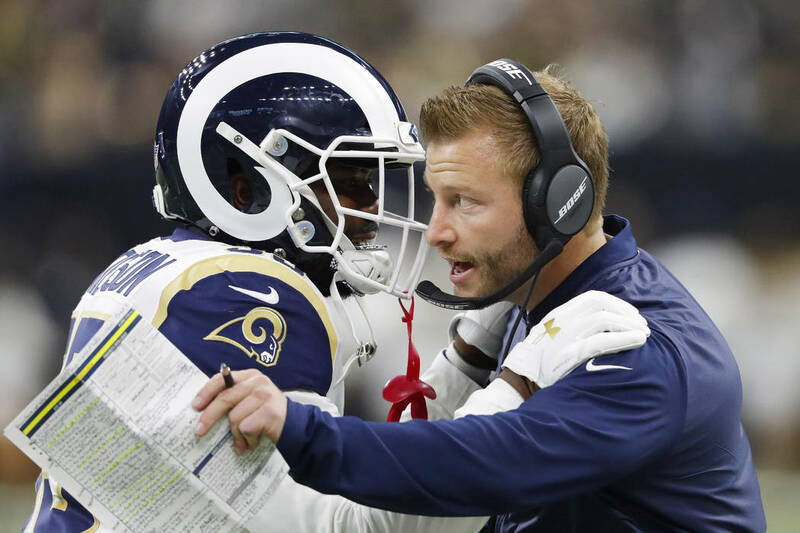 He seized his fourth chance, helping guide the Rams to their Sunday matchup against the New England Patriots. Anderson spent one game with Oakland. He didn’t see the field for it. Running back Doug Martin dealt with a knee issue entering a Dec. 9 meeting with the Pittsburgh Steelers, so the Raiders needed insurance. In walked Anderson, 27, whose tubby physique fit in better with his linemen locker neighbors than it did his fellow running backs. Martin ended up playing; Anderson was a healthy scratch for the 24-21 win. When cut on Dec. 11, he cleared waivers. Some might consider the ending a blessing in disguise, given the opportunity that followed. Los Angeles signed him on Dec. 18. While he might not pass the eye test for a prototypical NFL running back, he dismantled any notion he cannot perform. The former Pro Bowler totaled 66 carries for 422 yards and four touchdowns in his first three games, including a 23-carry, 123-yard, two-score outing in the Rams’ 30-22 playoff win over the Dallas Cowboys in the divisional round. That includes how impressed he was, watching Gruden lead the Raiders. Anderson grew up in Vallejo, California, about 25 miles north of the Raiders’ headquarters in Alameda. Like Marshawn Lynch, he attended college at California in Berkeley. There is no formal indication where the Raiders will play their home games in 2019. Commissioner Roger Goodell is expected to address this issue — which figures to be resolved in the coming weeks — on Wednesday at his annual Super Bowl news conference. Wherever the Raiders play, Anderson said that he anticipates they will correct their course in time. The franchise has one winning season the past 16 years.